Sure to create a buzz this season is this watch has been inspired by the 'Waggle Dance' that honey bees perform to tell other bees where to find food. Three floating 3D bees are encased on the white dial which features delicate rose gold markers, simple shake your wrist to see them dance! 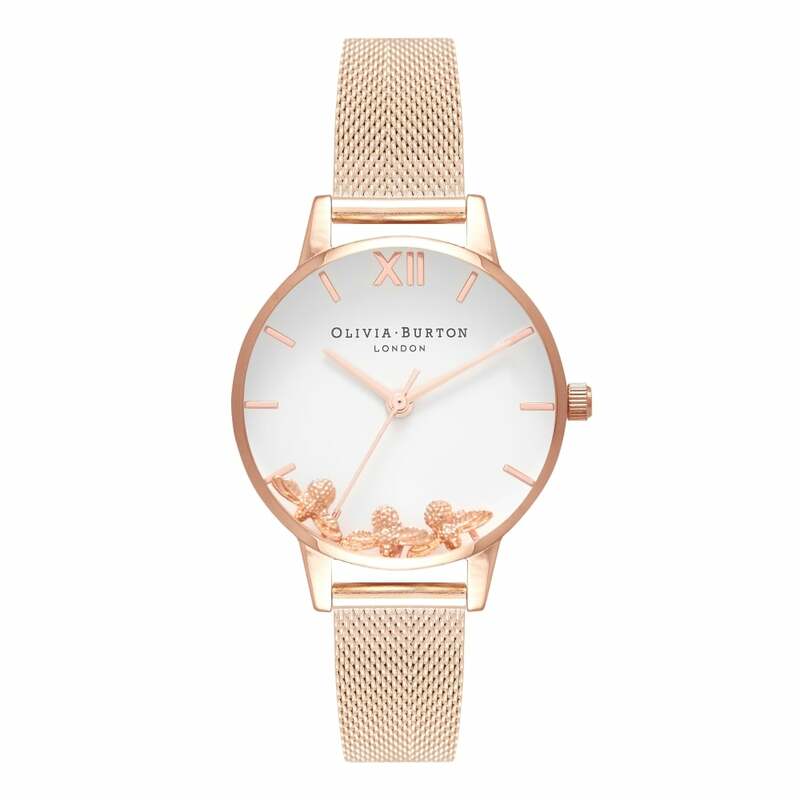 An on trend mesh has been used to create the strap and Olivia Burton branding finishes this modern classic.